Bangalore, 06 May 2018 [Fik/News Sources]: BJP had alleged that Congress in its rule has killed 23 party workers. Udupi-Chikkamagaluru BJP MP Shobha Karandlaje wrote a letter to home minister and sent the names of 23 people who were killed in Karnataka. The person who topped the list was Ashok Poojary who according to BJP was killed on September 20, 2015. But Ashok Poojary, whose name tops the list, was attacked then but is very much still alive. A TV channel journalist met him in a village 2 km away from Mangalore. 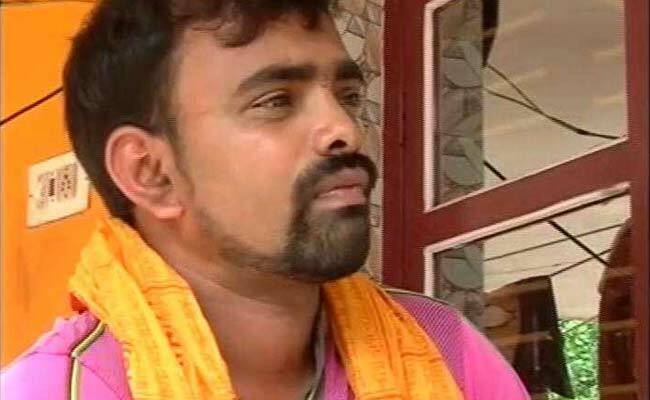 Ashok Poojary is the Bajrang Dal activist and BJP alleged that 6 motorcycle riders attacked him in 2015. They attacked Ashok Poojary as he belonged to Hindu organisation. They identified him as he had tied a saffron cloth on his head. Ashok Poojary played wedding band. BJP had alleged that BJP and RSS workers were killed during Congress rule. Ashok Poojary who went absconding in a village is also aware of BJP’s false claim and is also aware of Yogi’s allegations regarding Jihadis. Ashok Poojary told that he doesn’t know the attackers. I was wearing saffron cloth on the head, seeing which they attacked me. He told that he was attacked in 2016.